Denver: And for this edition of Better Than Most will be going up to Boston Mass. 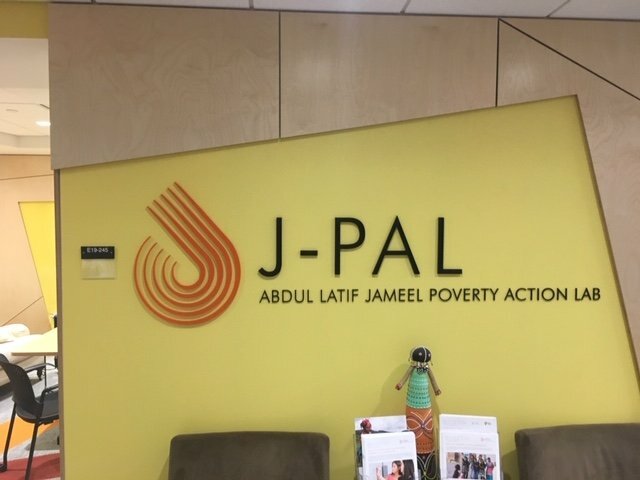 and to the offices of J-PAL North America the poverty action lab at MIT will begin with Executive Director Mary Ann Bates who will tell us about their work and anyone here from somebody of the team. 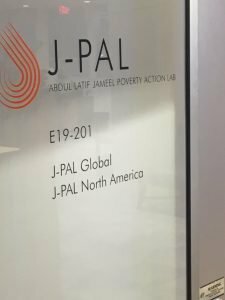 Mary Ann: J-PAL North America stands for the Abdul Latif Jameel Poverty Action Lab. 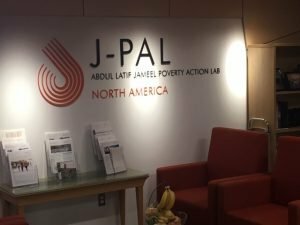 We’re a center here at MIT, and we’re founded just five years ago as a new regional office of J-PAL which has worked internationally for over 15 years. We basically work with decision makers and governments and the private sector and the nonprofit sector, and our network of affiliates and our team, partners with them to answer important social policy questions. 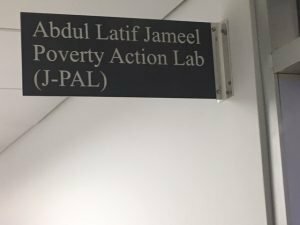 And we do this specifically with randomized evaluations which is a kind of impact evaluation and help people measure whether programs are working the way they intend them to, for whom, and how. Kim: One of the biggest surprises, when I came here, was the amount of trust that was put in me from the get go. There was a lot… I have a great manager who’s willing to provide a lot of guidance which is really great but at the same time, I could take a lot of ownership of important tasks really early on. Emma: One of the other things I really love about this organization is that it’s not very hierarchical. It allows people at all levels to really contribute meaningfully to the work that they’re doing like Kim was saying. It has a very entrepreneurial spirit because of the younger organization but at the same time, almost like a startup vibe but at the same time, you have the benefit of being part of a broader organization that has a great deal of credibility, and that is extremely well-known in the international development space, and we as an organization are starting to be known better among people who care about evidence and its use in policy in the United States. Erin: Even through the onboarding process, there are multiple presentations that talk about the different channels for feedback, how you can communicate with your direct reports as well as upwards to your managers and how there’s a lot of informal and formal mechanisms for that. Like I said, I think the fact that there’s such a focus on how communication is given is really impressive. I love that there is so much intention about why you want to provide feedback and what is the most effective way to provide it and how do you best prepare people to be in a place where they can really hear that feedback and be able to act on it effectively. I think that was one of the things that really resonated with me when I first started. Vincent: I think one thing that’s also been really unique about J-PAL North America is our formal buddy system. Beyond our individual manager to direct report system, we also have a formal mechanism in place where you get to go spend basically an hour with an informal coach or buddy every quarter where we’re given $10 to have coffee just to talk through any potential challenges you’re experiencing at work, work through any issues, get advice beyond the direct management channel that you have. I think being able to carve out that space and even to being able to provide even funding to actually pursue this type of mentorship has been really really valuable. I think it really speaks to the culture’s focus on investment in personal and professional development. Molly: A lot of what that’s entailed for example is creating organizational value statement. A document that we can turn to and reflect upon and iterate upon intentionally moving forward that puts us all in the same place or gives us the same common language to talk about diversity, equity, and inclusion really easily as an organization and give us that vocabulary. That process was just incredibly collaborative. Liz: I can go home, and that’s okay. I love it that no one emails me after work hours. That is the best. It’s really respectful of not interrupting my time with my family outside of work. Really making sure that we gather input from people at all levels and structuring our processes and procedures, all the amazing investment of time and training staff, onboarding staff, making sure that people have career path was mentioned for investing in their professional development. It’s really a place where I felt that both our internal staff and our external partners are respected and that we value input and sharing with everyone. Mary Ann: We have two scientific directors who work together in setting the scientific direction of the office. We have our different sectors like education or health and each of them is led by multiple co-chairs who work together. In all aspects of our work, it’s really collaborative, and it’s really consensus-driven whether it’s about what does the evidence really say about how pricing affects preventive health? It’s not just one person’s opinion. It’s multiple people coming together to do that. I think that really is reflected throughout the organization, it’s reflected on how we make decisions, how we structure our team and everything else. So, I personally found that incredibly rewarding, and it’s exciting to work in a place that has such incredibly talented people but it’s not just about one particular person. 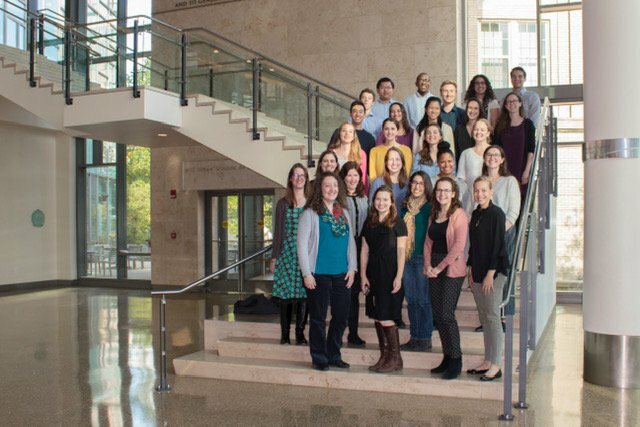 Emma: One of the things I’ve noticed is that a lot of emphasis in our hiring process and therefore is true of a lot of our staff is that we all speak both the language of research in academia but also the language of policy and communications and both of those things are married together in one at J-PAL. We don’t see them as separate, which is why there aren’t really significant divisions or silos between our research and training team and our policy team. I think a big part of what we do is we’re able to sit in the middle and act as a translator between those worlds which in a lot of cases, they really don’t talk to each other and they don’t share a lot of language or terminology and our staff are able to speak both languages and bring those groups into the same room and be able to get them to talk to one another which I think is pretty special and pretty rare. Erin: While there’s plenty of opportunities outside of work, there’s things called J-camp and J-ski and J-kayas, that just allow you to have space and interact with your teams outside of the office place. I’m also a mother and find that I have limited opportunities to do that outside of the office space, so I have also really appreciated that there are many opportunities that are built in to the day-to-day activities where we’re getting together for bagels, every Wednesday, there’s time carved out to celebrate birthdays every single month, everyone’s picture who has a birthday from that month is put in a cake to recognize you. It’s these small details that makes such a difference coming into this environment I was pretty blown away at the onset by just how supportive and kind people have been. Mary Ann: Part of that then evolved to what we now call Quiet Thursdays. There are many different reasons why people might want to have a day at home including just to have quiet space without distractions to finally get that writing project done or have some space. Whether it’s needing to have a shorter commute for one day a week or having some flexibility around errands or childcare and things like that. I think there are many different ways in which something as simple as what we call Quiet Thursday can really help improve people’s lives. Vincent: I wanted to touch a little bit on how that trust is established in the work place. I think it stems from three primary reasons. First of all, our staff are just incredibly competent and reliable. I think that they are some of the most reliable folks I’ve ever worked with in my professional career. 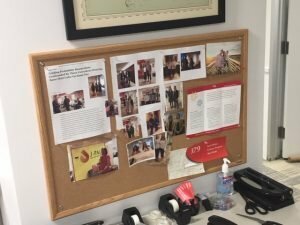 One thing that Mary Ann has been really instrumental in facilitating is the idea of assuming best intentions of all of the employees within our office. Whenever we are working with other colleagues, we always just assume that even if there is a delay in response to an email or some type of minor mistake in a document, with always assume best intentions that it’s not because the person was out to get us. Everybody is here for the same reason, and they all want J-PAL to succeed as an organization. I think that ties to my third point which is J-PAL really prides itself on collectively problem-solving. Rather than having a culture where we blame somebody for our problem, I think we always work towards creating solutions. Molly: At lunch time, we did a superlative for every single person. We took nominations from staff, and I think the fact that we were able to assign a very personalized superlative to every single person really says a lot in terms of how well we know each other, and also our sense of humor. They’re very light-hearted and very friendly and fun, but very personalized, I think. Kim: I know a lot of people in the office who started off as administrative associates when the organization was young and took their careers in a different direction. The organization grew, all of a sudden we went from what seems like a very small team. I don’t know, I wasn’t on it at the time, to people with HR Associates. We now have an Events Associate for event planning and things like that. Even just in the short time I’ve been here since January, watched the organization grow and blossom and change, and I’ve had the opportunity to do that in my role too. Emma: Over the last couple of years, I feel like I’ve clarified in so many different ways what I am interested in doing in the long term, and that’s because my supervisor, buddies, co-workers, and the leadership have been really open to my thoughts about what I’d like to be doing with my time, what do I want to be spending more time on; what do I want to be spending less time on and letting me craft my portfolio in a way that’s exciting and meaningful to me not just at work, but also thinking about, more broadly, what kinds of professional development are going to be helpful as I make decisions about what I want to be doing in the long term. Is it going to conferences, is it taking classes? I’ve taken a lot of classes; we have great tuition assistance and reimbursement, which is pretty wonderful, but really feeling supported as a whole person and not just as a staff member here. Erin: I also wanted to briefly mention the investment that the organization puts in staff development, building off of what I think a number of people have spoken to. As part of the policy team on-boarding process, we participate in a two-and-a-half week policy on-boarding where members from the different J-PAL regional offices are brought in to sit together for two and a half weeks to really learn about the evidence that we have here at J-PAL, what it means, and how we use it in our work, and I think that is a huge amount of time and energy that is spent to really build out staff capacity, and I think that really speaks to one of the values that I see here at J-PAL, which is really investing within their staff. Vincent: I think one thing that I’d like to end my part of the conversation on is how much I think J-PAL feels like a family in many ways. I moved to Boston for this job at J-PAL and I really didn’t know very many people when I first moved here, and I think being part of this organization that made me feel so included both at work and even outside of the work setting was really instrumental for not only on-boarding to J-PAL as an organization, but on-boarding to the City of Boston, broadly speaking. One of my co-workers, I remember, would always make sure to invite me to happy hours that he was going to even with some friends outside of J-PAL’s community, and I know that even for newer employees that have come on board, I’ve seen my co-workers really try to make them feel included both at work and also outside of work, so I think that’s one thing that I really appreciate about working here. Liz: The one thing that I’ve learned throughout my career is that if your executive director is not willing to lead the charge for change, then the organization is bound to stop growing and to stop improving, and Mary Anne has really shown that she is committed to leading this organization in a way that it is transparent, that values and respects people, and is willing to hear honest feedback and adapt, and be better as an organization, that the idea is we’re all in this together, we can all make each other better. Denver: I would to thank all those who to participate of this piece, Kim Gannon, Emma Rackstraw, Erin Graeber, Vincent Quan, Molly Gilmore, Liz Zuckerberg, and Mary Ann Bates to hear this again read the transcript or see pictures of the stuff and the office of J-PAL North America simply come to denver-frederick.com.